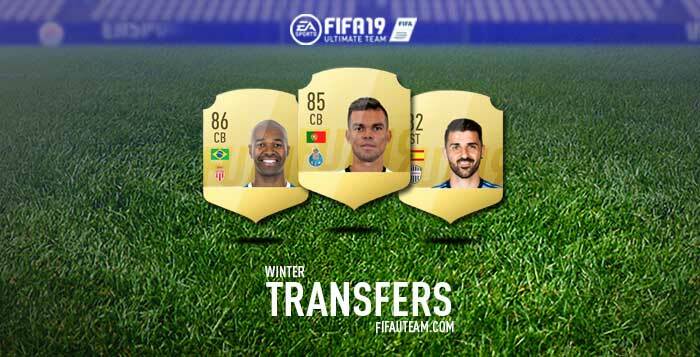 Know here who moved to another club and got a new card with the help of our updated list with all FIFA 19 Winter Transfers. FIFA 19 Winter Transfers are now live! In the following table you can check all the new FUT 19 cards. If you are looking for someone, you can use Ctrl+F or ⌘+F to find him easily. We will be updating this list, as soon as new cards become available in packs. Seriously EA takes more than 8 days to transfer all the players to new clubs. In fact, new cards are already available and we will update this page very soon. Please update the Galatasaray squad, we need strikers 🙂 thanks. Sure! Every time EA releases new cards, we update this page. You can see in the top of the page when was the update and how many cards were added. Those cards will be updated in a few days. Do players such as Paredes that didn’t exist (from FC Zenit to PSG) will be added as a new card? We tweet several interesting stuff about FIFA on a daily basis. Yesterday, for example, we discovered a few players that are already being added to the game (you won’t find yet because they are only on PC right now). Paredes was one of them. His (new) card is 81 rated. You can check the other ones there.